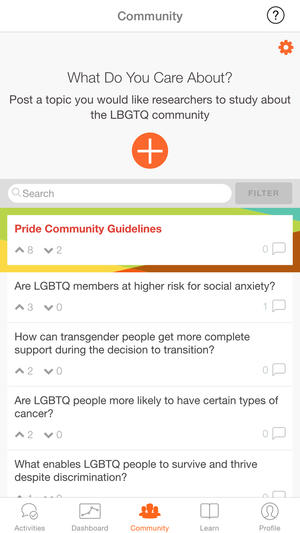 Medical researchers have developed a ResearchKit app to better understand the health needs of LGBT people. With transgender celebrities gracing magazine covers and the Supreme Court set to rule on gay marriage across the U.S., the LGBT movement has come a long way. But we’re still far behind when it comes to addressing the health and wellness of LGBT people. To address that, medical researchers are launching a new “PRIDE Study” to shed some light on the unique health needs of LGBT folks—and they’re using iPhones to conduct it. A new ResearchKit app developed by the University of California at San Francisco will survey a wide range of LGBT folks about health issues like HIV/AIDS, smoking, cancer, obesity, mental issues and depression. “The main question there is, what is the relationship between being LGBTQ—or more broadly a sexual or gender minority person—and mental and physical health?” Mitchell Lunn, co-director of the PRIDE Study at UCSF, told BuzzFeed News. 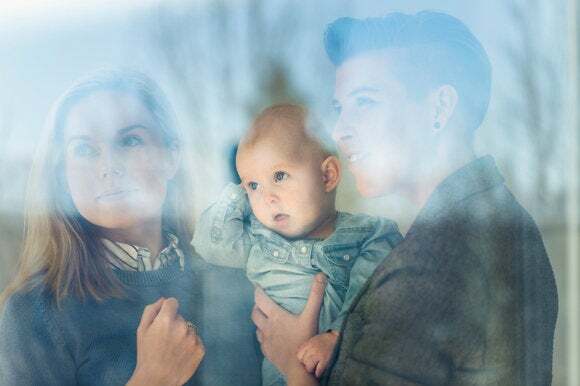 Lunn and his team of researchers are hoping that the study will be particularly useful in addressing the health concerns of transgender and bisexual people, an understudied segment of the LGBT population. LGBT health advocates are also excited about the vast potential of tapping into the iPhone’s massive user base to gather this vital information. Finding people to sign up for a medical study and getting them to come to a clinic is very difficult; now they can simply submit information on their iPhones while sitting on the couch at home. When Stanford University released its ResearchKit-powered app to measure heart activity, over 11,000 iPhone users signed up in just a day. Typically, it would take up to over a year for a medical study to recruit that many participants. For the remainder of the year, the PRIDE Study will ask people to suggest which health topics pertaining to the LGBT community they want the study to address, and the UCSF researchers will compile that user feedback to create the final survey questions. LGBT folks can download the PRIDE Study app now in the App Store or by texting PRIDESTUDY to 74121 to get a download link on their iPhones.